Sgt Thomas M. Mayfield, Jr.
Thomas M. Mayfield, Jr. was born November 19, 1925 in Greer, SC. 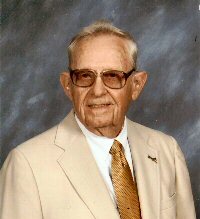 He graduated from Greenville High School in 1942 where he participated in football. He entered The Citadel in the fall of that year where he attained the rank of Cadet Second Lieutenant. Tom left there in December of 1943 for the Aviation Cadet program but didn't make it beyond Miami Beach, so he went on to aerial gunnery school training at Tyndell Field, Florida. Upon graduation , he was assigned to the 29th Bomb Group at Pratt, Kansas and finally the 39th at Salina, Kansas. 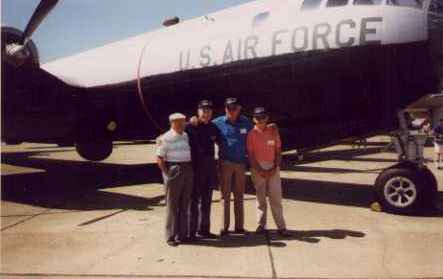 There he became tail gunner of Crew 43 and accumulated 21 combat missions by war's end. The crew was on rest leave in Honolulu, Hawaii when hostilities came to an end. 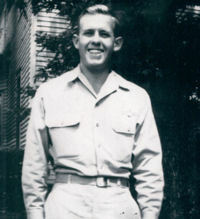 Tom returned to civilian life and attended University of North Carolina during 1946-47. In January 1948 he began work with T. M. Mayfield and Co., an independent insurance adjusting firm owned by his father. At first he served in the Greenville office, but then in 1951, was transferred to the Charlotte office having served as President and Chairman of the Board before retiring. Mayfield married Mary P. McGill, Greer, SC. July 30, 1948. They have five children and ten grandchildren and 2 great grandchildren. He is an Elder at the First Presbyterian Church in Charlotte where he has been active in many capacities for several years. Mary passed away in 1993. Of Crew 43, Tom informs us that all attempts have failed to locate all have been accounted for except Charles Hardin. It is assumed he is deceased. He mentions that Virgil Boyd their crew chief, did attend a crew reunion in 1974. He has since died. Sgt Thomas M. Mayfield, Jr. took his Final Flight on 20 September 2015.